Assault is a violent crime and accompanied by severe consequences, especially if it is considered a “crime of violence.” If you have been charged with assault, your life and freedom are on the line. You will need the help of an experienced criminal defense attorney to increase the likelihood of a favorable outcome to your case. Throughout his career, Denver criminal defense attorney Nicolas M. Geman has devoted his entire practice to defending the rights of individuals charged with a crime, and he can help you in your time of need. Please call us at (303) 357-3035 or email us today to schedule your initial consultation. The State of Colorado has established three degrees of assault. 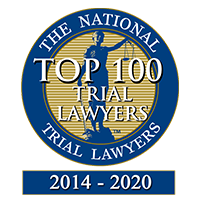 There are a variety of factors which will be used to determine the class of assault you are charged with, including the nature of injuries inflicted, whether there was intent to injure, whether a weapon was used, and the identity of the victim. 3rd Degree Assault – This is the least serious assault charge. It is a misdemeanor and generally occurs when only pain or very minor injuries are inflicted. 2nd Degree Assault – This is a more serious charge and is considered a felony offense. You will be charged with 2nd degree assault if you knowingly inflict a serious injury on the victim. Generally, there must be intent to injure to be charged with 2nd degree assault. 1st Degree Assault – This is the most serious assault charge, and it is also a felony. First degree assault is committed if you intended to inflict bodily harm and used a deadly weapon. An assault conviction can drastically impact your life for many years to come. Therefore, it is crucial that you work with a highly skilled and experienced criminal defense attorney who can help you minimize the damage associated with these charges. Mr. Geman will aggressively fight for your rights every step of the way. He will listen carefully to your story and then work with you to devise the best defense strategy to achieve your desired outcome. 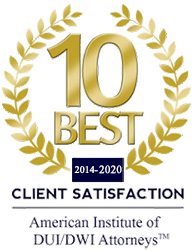 Mr. Geman prides himself on providing the highest levels of personalized attention to all his clients. He will be personally involved in every aspect of your case, from the initial consultation to any potential appeals that need to be filed. When you work with Mr. Geman, you will receive the exceptional legal representation you deserve. 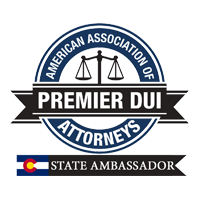 Please contact our Denver, Colorado criminal defense attorneys today to schedule your initial consultation at Geman Criminal Defense.